Rockstar announced today that Red Dead Redemption 2's online component will be called Red Dead Online and will launch in November starting with a public beta. “As with most online experiences of this size and scale, there will inevitably be some turbulence at launch,” the studio said, saying it looks forward to working with the game’s player community to fix any problems it has at launch. Not much is known about the mode yet, but the studio has compared it to both the online parts of the original Red Dead Redemption as well as the wildly successful Grand Theft Auto Online. Grand Theft Auto Online launched in 2013 a month after Grand Theft Auto V, and Red Dead Online is continuing this trend of launching after the base game. 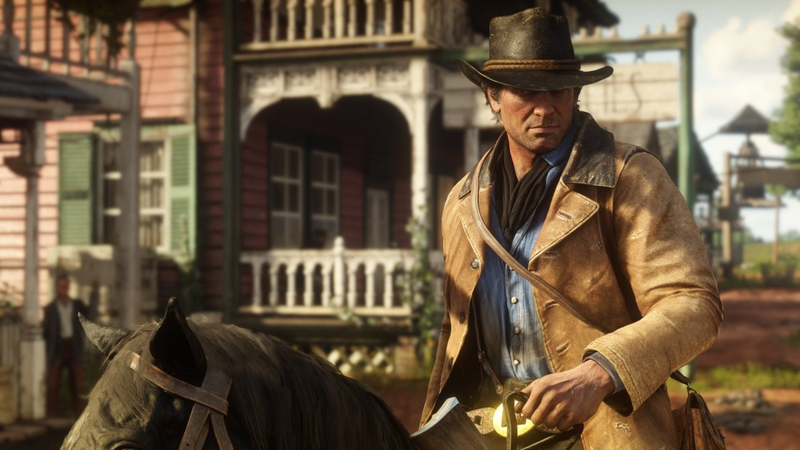 According to Rockstar, Red Dead Online will blend “narrative with competitive and cooperative gameplay” and will be free for players who own Red Dead Redemption 2. When asked why Red Dead Online isn’t releasing alongside the rest of the game in a Q&A with IGN, director of design Imran Sarwar explained that the studio sees Red Dead Online as fundamentally separate from the main game. Concerns over launching a big new online game were also a reason. Here, Sarwar is alluding to the launch of GTA Online, which was plagued with server issues and bugs during its first several weeks. Rockstar released update after update apologizing for the problems and trying to fix them. Years later, all of these issues have been smoothed out and the pseudo-MMO has become one of the most successful online modes ever. By releasing Red Dead Online as a beta first, Rockstar appears to be preparing for a similar uphill climb.